Aging is often accompanied by a growing list of illnesses and conditions – and the growing list of the medications that help us control those balances and conditions. However, not all medications are appropriate for seniors. Recently, the American Geriatrics Society (AGS) updated their list of medications that older adults should avoid or use with caution. The complete AGS Beers Criteria for Potentially Inappropriate Medication Use in Older Adults can be accessed here. Access to the list must be purchased online, but you can ask your doctor to provide a printout for you. There are many medications that are contraindicated for the vast majority of older adults, and others that are only known to be dangerous for people suffering from specific conditions. Other medications can cause extremely dangerous interactions with the medications we are currently taking. 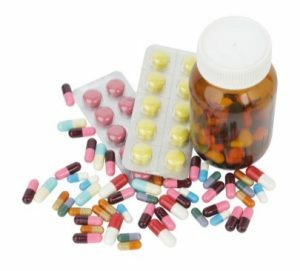 Over-the-counter NSAIDs, like ibuprofen (Advil) and naproxen (Aleve), and prescription-strength NSAIDs (often prescribed for arthritis) are known to increased the risk of bleeding in the stomach, small bowel and colon. They are also known to cause damage to the kidneys, and increase the risk of heart failure. Both of these common pain medications come with serious risks. Tylenol is processed by the liver and should not be used by adults with liver disease. Alcohol abuse is the main cause of liver damage in adults, and people who have a history of drinking should avoid using Tylenol. To complicate matters, Tylenol is included in many over-the-counter medications, for example, Nyquil. This, unfortunately, makes it easy for people to accidentally take more than the recommended dosage of Tylenol. One baby aspirin daily was, until recently, considered a standard treatment to avoid heart attack and stroke in older people. However, recent research has caused this recommendation to be reversed: it is no longer recommended that older adults take a baby aspirin every day. The likelihood of severe bleeding or hemorrhaging becomes too large over an extended period of time. Falls are the most common way for an elderly person to lose their independence. Falls and fractures also compromise an individual’s ability to enjoy life. This list of medications is especially important, since each of these medications increases the risk of falling. Although some of these medications might be required for a condition or disease we are living with, it is important to be aware that these medications come with a fall risk. Therefore, if we are required to take one of these medications, we should be careful to mitigate against our risk of falling. For example, if we must take an opioid because of extreme pain, it would be wise to use a walker during the time the opioid is in effect. Further, since many falls occur when we awaken during the night in order to go to the bathroom, it might be wise to have a walker — or even a commode — next to our bed. People on opioids are especially prone to falls when first getting out of bed; they are often disoriented and potentially dizzy, and it can be difficult for them to keep their balance. Something sturdy near their bed would give them the support they need. Even during the daytime, if we are aware that we are somewhat unsteady on our feet, for whatever reason, we should be careful to use a walker. Atlantic Coast Healthcare and Rehabilitation Center, in Lakewood, NJ, takes a restorative approach to senior health, maximizing function and mobility in a positive and upbeat atmosphere. That includes keeping close track of the medications our residents use, ensuring their safety.